Going without make-up is a bold move for any actress. 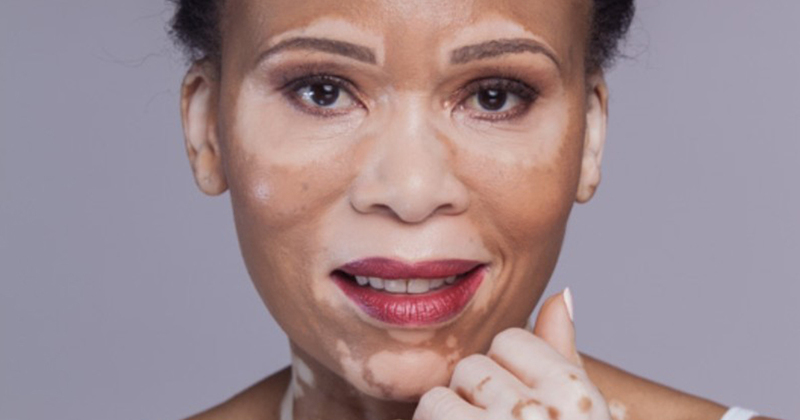 But for Leleti Khumalo, who has vitiligo, it is life-affirming. Although the exact cause is not known, scientists believe it could be due to genetics. People from families with an increased prevalence of thyroid disease, diabetes and vitiligo appear to be at increased risk for developing the condition. “I first noticed little spots on my upper leg when I was about 18,” Leleti recalls. 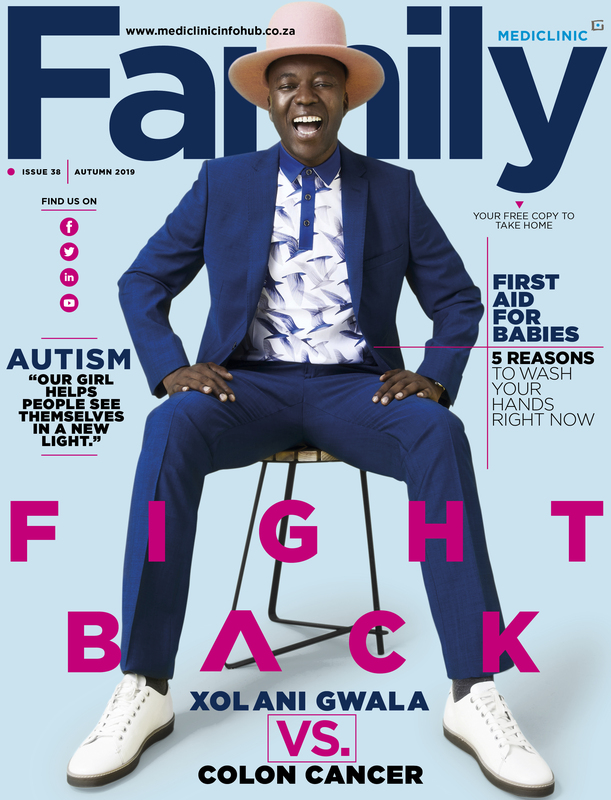 “They weren’t painful and they didn’t bother me, so I simply shrugged them off.” As a youngster growing up in the township of KwaMashu in KwaZulu-Natal, she had no access to reliable information about vitiligo – and Leleti didn’t allow the discoloured patches to sidetrack her while she focused on her career. However, the white areas of skin continued to grow, to the point where the actress was eventually spending up to an hour a day using concealer and make-up brushes in an attempt to hide the discolouration. When the couple conceived naturally, and were told to expect triplets, Leleti’s concerns turned to deep joy. But she was still using make-up, scarves and long-sleeved shirts in an attempt to cover up the patches of white skin that were now spreading rapidly. Vitiligo is pronounced vit-ih-LIE-go. Approximately 1% of people will develop vitiligo in their lifetime, worldwide. The total area of skin that can be affected by the disease varies. It can also affect the eyes, the inside of the mouth and the hair. In most cases, the affected areas remain discoloured for the rest of the person’s life. It affects people of all skin types, but it may be more noticeable in people with darker skin. COMMON VITILIGO Starts as one or two pale spots. Over time, more of these patches start to appear. SEGMENTAL VITILIGO Usually appears in childhood and occurs in only one segment of the skin. Once enlarged to its full size, it stops growing. While it won’t disappear, it won’t start appearing elsewhere on the body. As Dr Asmal explains, in addition to examining your skin, your doctor may take a small sample (biopsy) of the aected skin and perform a blood test to rule out any underlying causes such as anaemia or diabetes. People with vitiligo may be more vulnerable to sunburn because their pale skin patches have lost their natural protection against the sun’s rays. Usually, your skin is protected by melanin. Exposure to the sun increases melanin production and turns the skin darker to protect it from burning. This does not happen in vitiligo patches, where melanin is either absent or inactive. If vitiligo skin is not protected, it is likely to burn quickly. The areas most at risk are those where the skin is thinnest, for example eyelids, nose, neck, the décolletage and the backs of the hands. Not only is sunburn painful, but it might stimulate the vitiligo to spread in some people. Sunburn also increases the risk of skin cancer. You need to choose a sunblock or sunscreen product that protects you from the ultraviolet light in the sun’s rays. UVB are medium-length rays which are mainly absorbed in the upper layers of the skin. They are the main cause of sunburn. On sun protection products, the extent of protection against UVB rays is indicated by the Skin Protection Factor (SPF) number, which ranges from 2 to 50+. Vitiligo skin requires at least SPF 30. There is little evidence that SPFs of over 30 provide any additional benefit.